8Rental is a professional chauffeured giant, which guarantees minibus hire service in Bristol at very rational & meeting client's demands rates. 8Rental's goal is to provide comfort& agreeable passenger transportation on Bristol streets & Greater Bristol routes. Main privileges of hiring 8Rental's are reliable ride, flexibilityand amiability of passenger vans driven by intelligent authoritative chauffeurs! Rent a Passenger Van with driver in Bristol. Amazing Bristol with our competent drivers. 8Rental service was developed on the belief that hiring a minibus had a strong demand for a high level of service, educated drivers, and most important thing is attention to details. After you make the decision to hire a service oriented minibus in Bristol, with no doubt you will receive the best Bristol minibus provider! Bristol’s great expert chauffeurs have big experience in driving are trained, tested & fully documented. Hire a minibus with driver in Bristol. We are highly detail oriented company where you, our client, obtain care, safety and attention which you deserve! 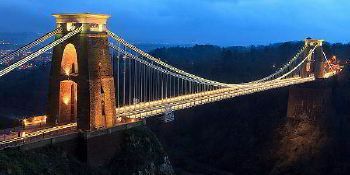 Bristol offers many sightseeings and places to visit and. Hiring a minibus with driver in Bristol is the best choice for shopping trips, places to visit, family trips. Every tourist can surely discover the magic& charm of British culture. Bristol Cathedral, the Lord Mayor's Chapel, Clifton Suspension Bridge are the places of must-visit list. 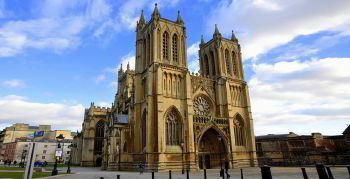 Find a group and spend unforgettable moments, taking pictures of Cabot Tower,St Mary Redcliffe Church,Bristol Cathedral and Bristol Museum & Art Gallery. 8Rental provides “Meet & Greet” service and serves InternationalBristol's Airport. Start planning your route today and choose the minibus hire in Bristol service from 8Rental Reservations! Cheap passenger van rental in Bristol with chauffeur - fitting economical alternative! Choose classic Mercedes Sprinter minibus! Affable driver will pick your managing luggage from Bristol International Airport & drive to the destination address. Hire a minibus in Bristol with driver just now!